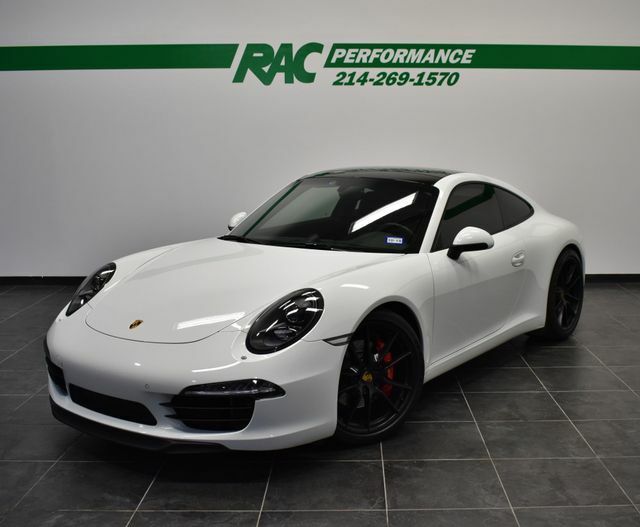 CLEAN CARFAX, PORSCHE DOPPELKUPPLUNG (PDK), SPORT CHRONO PACKAGE, SPORT EXHAUST SYSTEM, PASM SPORT SUSPENSION, PORSCHE CPO WARRANTY (THROUGH 6/30/2021), FULL XPEL CLEAR BRA (ENTIRE VEHICLE), FRESH ANNUAL SERVICE, RECENT BRAKE FLUSH, FRESH MICHELIN PS 4S TIRES, SERVICE RECORDS (PERFORMED HERE AT RAC PERFORMANCE), BOOKS + 2 KEYS, BI-XENON HEADLIGHTS IN BLACK PORSCHE DYNAMIC LIGHT SYSTEM (PDLS), 20″ SPORT TECHNO WHEELS, PARKASSIST (FRONT AND REAR), SPORTDESIGN STEERING WHEEL, POWER STEERING PLUS, PREMIUM PACKAGE WITH POWER SPORT SEATS (14-WAY), BOSE AUDIO PACKAGE, WHEELS PAINTED IN BLACK, HEADLIGHT CLEANING SYSTEM COVERS IN EXTERIOR COLOR, ELECTRIC SLIDE/TILT SUNROOF IN GLASS, ORNAMENTAL PORSCHE CREST, LUGGAGE NET IN PASSENGER FOOTWELL, SMOKING PACKAGE, STANDARD INTERIOR IN BLACK, WHITE!!! This car has been inspected by our certified technicians and is ready to drive home. Upgrades are available at RAC Performance. TUNES, EXHAUST, WHEELS, TIRES and MORE!